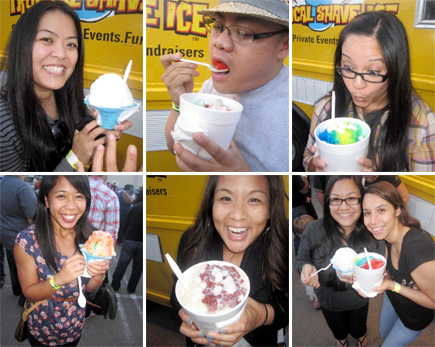 Shi posted this picture of us inhaling Tropical Shave Ice on Facebook, and as a result, Arlene has threatened us with the PINK card at tomorrow night’s circuit training session… the same pink card that made me throw up (three times!) the first day I did it. I didn’t even put any toppings on my shave ice!! !